1. Click the Start Orb and click Computer. 3. On the Folder Options window click the View tab. 4. In the Advanced settings: box, Under Hidden files and folders, click the Do not show hidden files and folders button. 5. Click the Hide protected operating system files (Recommended) box. In the Available Disks box put a ckeck mark in the box next to OS (? :) (System). Your drive letter will be shown in place of the ? Note: It may take some time for the system to populate the Available Disks box, so be patient. A small System Protection window will come up telling you a Restore Point is being created. Click Start(Windows 7 Orb), click Run (or press the Windows key and R together) to bring up the Run box. NOTE: You will not see this window unless you have more than one drive or partition on your computer. 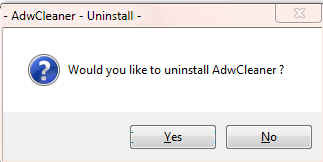 If you chose Files from all users on this computer above, then click on Continue for UAC prompt. Select the system drive, C:\ and click OK. In the Disk Cleanup dialog box, click Delete (See screenshot below). Click Delete Files, and then click OK.
1. Click Start> All Programs, from the list find Windows Update and click it. 1. Click Start> Control Panel. Click Security. Under Windows Update, Click Turn automatic on or off. 2. On the next page, under Important Updates, Click the Drop down arrow on the right side of the box and Click Install Updates Automatically(recommended). If you click this setting, click to select the day and time for scheduled updates to occur. You can schedule Automatic Updates for any time of day. Remember, your computer must be on at the scheduled time for updates to be installed. After you set this option, Windows recognizes when you are online and uses your Internet connection to find updates on the Windows Update Web site or on the Microsoft Update Web site that apply to your computer. Updates are downloaded automatically in the background, and you are not notified or interrupted during this process. An icon appears in the notification area of your task bar when the updates are being downloaded. You can point to the icon to view the download status. To pause or to resume the download, right-click the icon, and then click Pause or Resume. When the download is completed, another message appears in the notification area so that you can review the updates that are scheduled for installation. If you choose not to install at that time, Windows starts the installation on your set schedule. IF I have helped you and you want to say "thanks", you can do that by clicking the Rep+ button at the bottom right of this post. Man...I'm running scared. Both IE and Firefox have slowed down to a snails pace when loading websites. I tried different websites like "thestar.com" which is taking 3.5 mins to load and "paypal.com" which is taking 1.5 minutes to load. I worked through the last instructions. Did I screw-up? I checked and re-checked the directions with no change in result. I downloaded HOSTS with a lot of problems. Couldn't get it on the desktop and don't know if it is working. It seems both browsers are have problems loading pictures. This is probably due to the MVP Hosts file that you installed. This file will protect you from most major parasites, hijackers and adware/spyware programs. Unfortunately this extra protection comes at the price of some speed and some URL addresses that you can't get to anymore. Click the Start Orb, right click Computer and click Explore. the Computer page will open. At the top of the page click the Tools menu and click Folder Options.... The Folder Options page will open. Click the down arrow beside the Windows folder. Click the down arrow beside the System32 folder. Click the down arrow beside the Drivers folder. Find the HOSTS.MVP file and rename it to HOSTS (without any extension). If that has resolved the issue go back to the C:\Windows\System32\drivers\ect folder and delete the HOSTS.old file. I followed the instructions and both browsers are working again. Question: The host file is sitting in a folder on the desktop. Can I move the folder elsewhere on the computer so I don't delete it by accident? Do you mean the HOSTS file that you downloaded from the winhelp site? What folder is it in? The Host program came in a RAR file that I put on the desktop. When I extracted the program I directed the computer to place the content of the zip file in a folder called "hosts" on the desktop. And there it sits. The MVP HOSTS file will only provide protection when it is in the C:\Windows\System32\drivers\ect folder, and it sounds to me like you've already decided that you don't want to use it because of the problems it causes with browser slow downs and the sites that you can no longer visit. So why would you want to keep the RAR file or the hosts folder on the desktop? if you decide to install it later you can simply go back to the site and down a fresh, updated copy of the file. But even then there isn't any reason to keep the RAR file or the hosts folder on the desktop or anywhere else. Thanks for the advice.......I'll delete them. Feeling good about the condition of my computer. Appreciate all your help. You're welcome. If you have removed all of the tools we used and you don't have any further issues then stay safe and if you need us in the future just give us a shout.